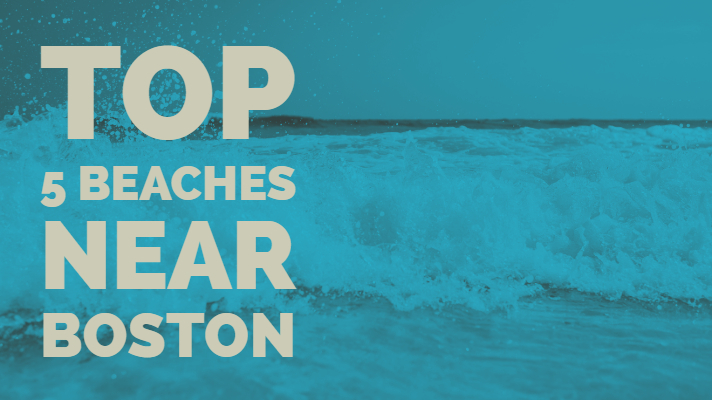 If you have a home for sale in Cohasset, then you might want to point out to potential buyers that Boston has excellent beaches to explore. New home buyers can enjoy a fun afternoon soaking up the sun, playing beach volleyball, splashing in the water, exploring the beach shops, or having a nice picnic. Boston has numerous recreational activities for families living in the area giving you an advantage when selling Milton, MA real estate. For example, knowing that you can get to Crane Beach via the commuter rail from North Station and take it to Ipswich might be important to someone relocating to Quincy, Brookline, Mattapan, West Roxbury, or Hanover. Helping out-of-town buyers learn about the area will give you or your agent a way to connect with open house guests. Making an emotional bond is a fast way to get people to feel an attachment to your home. Known as America's Oldest Beach, Revere Beach is 122 years old beginning public service in 1896. Guests like to visit the park to go swimming, soak up the sun, listen to musical acts, and sample new foods at the restaurants and food stands on the grounds. Events like annual sand castle build-off and sculpture contests along with kite competitions entertain young and old alike. Visitors find that Revere Park has festivals, fireworks for the holidays, and outdoor movie nights that people buying in Quincy, MA can enjoy as part of the family. There are several hotels with lavish accommodations and premier restaurants to sample after a day at the beach. Wollaston Beach is a part of the Quincy Shores Reservation. This recreational area has miles of sandy shores, and trails to explore. Parking is free, and there are more than 15 acres of marshy area in the adjacent Caddy Park along with a playground and walking trails. Nearby, the Moswetuset Hummock National Historic Site was once a summer residence for local Indian tribes in the 1600's. The monument sits next to the Northern edge of the reservation. The beach is the site of many summer weddings, and there is an on-site wedding facility giving people that are looking to buy real estate in Milton MA a beautiful setting to begin a new life. Quincy Bay offers spectacular photo opportunities for beach guests and wedding parties alike. Open from the day the first ferry begins operation in late spring; Spectacle Island is a favorite destination for many residents. When you own a home in Quincy MA, then you have several local entertainment zones that you can use to improve your home listing and get more interest in your property. Whether you have a multi family or single-family home to sell, using the community resources like Spectacle Island, show how central your building is to fun places. The marina on the island is one of the busiest parts of the park with boaters frequenting the harbor throughout the summer season. Tours, movies, ferry services, special events like clam bakes, and lifeguards at the beach are just a few of the things your new buyers in Milton MA might find helpful. When you want to surprise the potential owners in Weymouth, then you can tell them that the Dorchester Shores Reservation has a bathhouse, baseball fields, and lifeguards for beachgoers. The Savin Hill and Malibu Beach areas are part of the Dorchester Shores Reservation giving guests easy access to walking trails, softball courts, and all the swimming you could ever want. There is access for beach wheelchairs as well at Dorchester. By showcasing this destination, you can give buyers more reasons to love the neighborhood. Showcasing nearby attractions lets buyers see that the area is a fun and vibrant place to live making it easier to sell your property. On the southern side of Dorchester Bay, Pleasure Bay meets up with the Carson and M Street Beaches. Real estate agents in Hingham MA might know this area as Castle Island because of the half-circle design and stone walkways that make up a large portion of the attraction. The Conley Terminal is part of the skyline, and there are more than 2,000 feet of docking room for semis and over 60 acres of space for shipping containers giving beachgoers plenty to watch while sunbathing. The Strandway is more than a mile long by the time you walk all the way around it. Real estate agents in Quincy know that one of the best ways to sell a property is to tell buyers about local attractions. With all the sandy shores near Boston, beach access Is likely to be a favorite topic among potential buyers. The more you know about the local area, the higher chance you have to sell a home in Quincy MA. Constitution and Half Moon Beach are two excellent recreational areas for buyers to frequent. With local knowledge, you can appeal to all demographics when buyers come to the open house. Good Harbor and Wingaersheer Beaches are two more top destinations in the area giving people the chance to get out and get some fresh air, work out a little, or spend some quality time with family and friends. When you have local homes for sale, then you can highlight the best recreational and entertainment areas in the neighborhood. Whether potential buyers are young professionals that like to get in a run each day, busy moms that want to walk in the park with little ones, families that want a large space to fan out and play, or the older couple that still relishes a romantic picnic lunch, knowing as much as you can about the outdoor spaces around your homes will be a huge selling point. For instance, Crane Park is the top beach spot in Boston, according to Boston Curbed. This sandy shore has more than five miles of space for residents to span out and use. A buyer that loves horses might like to know that horseback riding is permissible between the Essex River and Beach Access Road at Crane Park, but only between October and March each year. By providing buyers with insider information, you and your real estate agent have more to entice home browsers with when they visit places around Boston.